Hamachi is used or setup VPN and connect systems over VPN network. This provides an quick and easier way to create VPN network and attach system. You can create a free account on logmein.com and create networks. You can add up to 5 systems in each network with free account. To add more than 5 systems required to upgrade network to paid version. 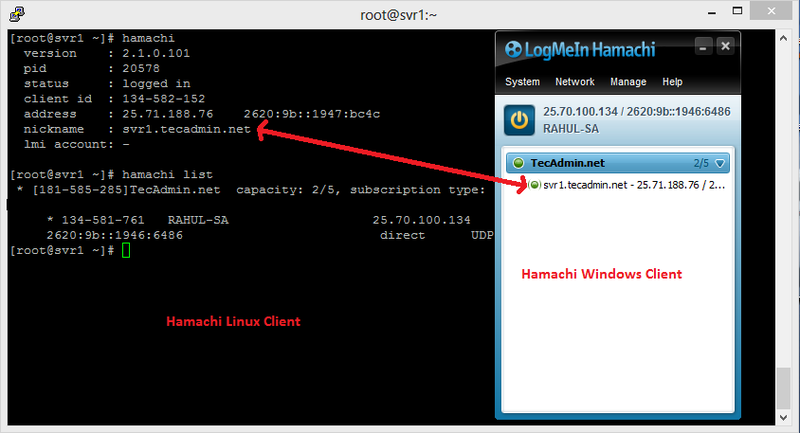 For this tutorial, I have already created hamachi network from its web interface and get a network id and connected a windows system with this network. This tutorial will help you set up LogMeIn VPN network and add Linux machines to this network. Also, attach a Windows system to communicate each host over VPN. For installing hamachi on CentOS, RedHat systems, you must have installed redhat-lsb package. If you don’t have already install it using the following command. Visit LogMeIn official download webpage to download latest LogMeIn-hamachi packages for your Debian, Redhat or Windows systems. You may also use the below commands to install LogMeIn hamachi client on your system. Start Hamachi service using the following command. You can also create the network using the command line. But I prefer to login to the LogMeIn hamachi dashboard and create a Network under Networks >> My Networks section. For security, purpose assigns a password for your network. On creation of the network, you will get a network id. Use this network id and password to attach remote systems to this network. After installing hamachi, let’s join existing network. But it required being logged in first. There is no need for any login credentials for it, just use the following command. Now use the command to join the network. 181-585-285 is the LogMeIn-Hamachi network id. Now you have successfully joined to existing network. To check the IP address, hamachi client id and other details about your system just type command ‘hamachi‘ and press enter. Let’s try to ping to windows client. 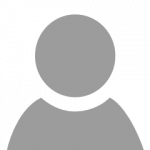 PING 25.70.100.134 (25.70.100.134) 56(84) bytes of data. The above output showing that system is successfully communicating with windows client using hamachi network. Congratulation’s! You have successfully installed and configured LogMeIn Hamachi on your Linux system. Same issue with GLIBCXX_3.4.15 not found, cannot go further. Is there any solution ? I’m using Linux 2.6.32-042stab081.5, it’s a CentOs 6 distrib. Same problem here, and is not easy to fix that GLIBCXX_3.4.15 issue. Important that users understand that Hamachi does not work with CentOS5 using RHEL6 because the latest version of GCLIB is sub 3X and this program requires 3.4.15. Installing this into CentOS5.X is done so at the users risk because you have to push GCLIB to an unsupported version that is at your peril. So basically if you see this GCLIB then forget touching hamachi and maybe go with openvpn instead. So many issues trying to do things on linux. Trying my best to learn but it seems simple things require lots of hours and research. I would say developers of OS are smart only if they can make tools that are easy to work with. Seems that there is never a straightforward way. You follow instructions and something is always not right… Maybe deep regulation and standardization would be good to have across all platforms. Try this. Ammyy Admin is a powerful multi-task solution for remote desktop sharing, remote computer administration and distance learning from any location in the World.